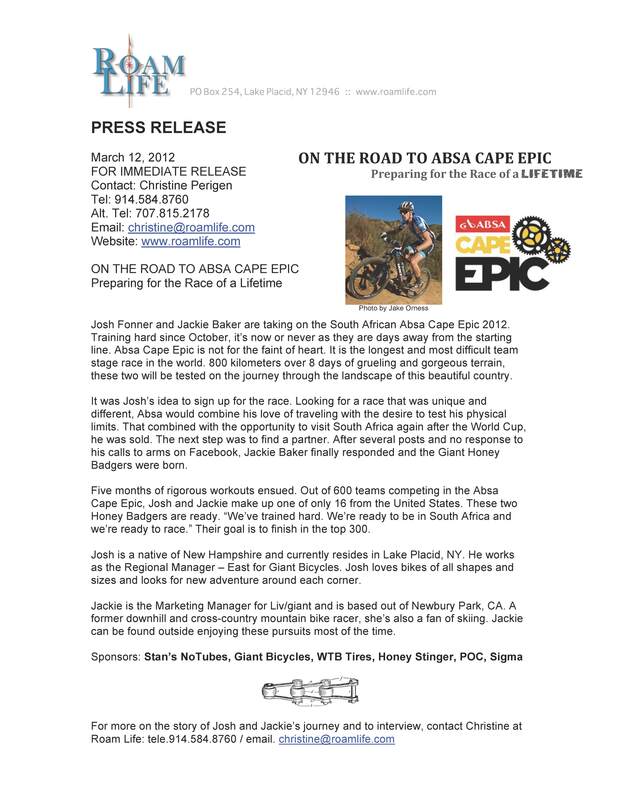 My partner, Josh, signed up for the Absa Cape Epic 2012. He asked if I wanted to and, at the time, I thought it was the craziest idea I’d ever heard of. The South Africa Absa Cape Epic is an 8 day, 800km mountain bike stage race and must be done with a partner. As I tapped out early on, Josh recruited his colleague, Jackie Baker, to join the adventure. 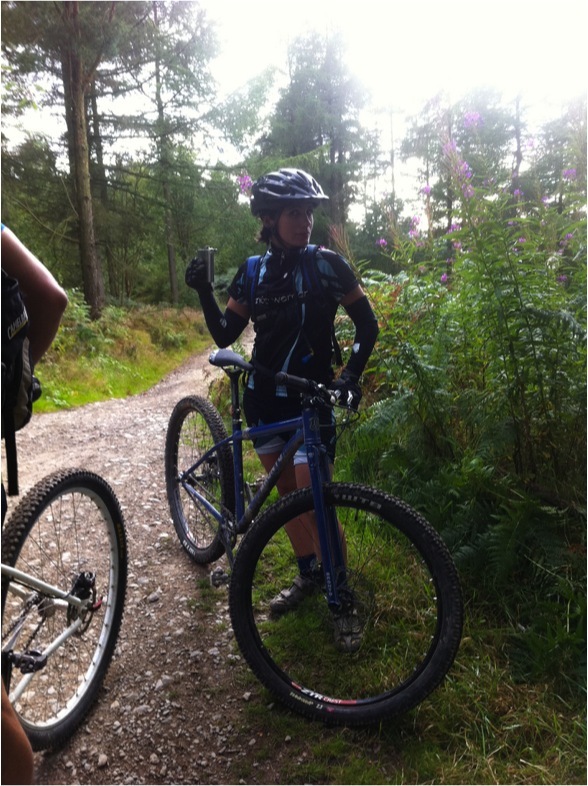 Since October, Jackie and Josh have been training for the toughest mountain bike stage race in the world. I’ve been there to document, badger these two for blog posts, help in securing sponsors, getting media coverage and overall, doing all the little things that they don’t have time to do since they spend 2-6 hours a day on a bicycle. Now, it’s 13 days until Jackie and Josh will be sitting at the starting line and I’m starting to realize that I, too, am going to South Africa. 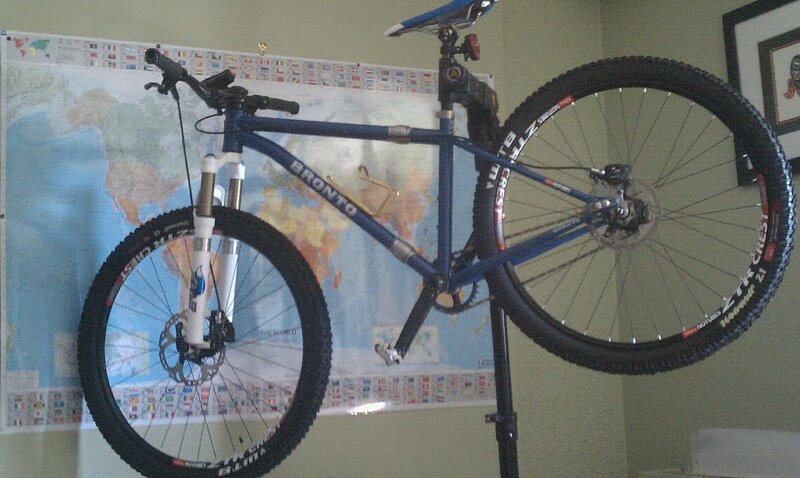 I’m bringing my Bronto singlespeed and I’ll be shredding on some trails in Stellenbosch with the likes of mountain bikers I’ve never seen before. I’m more of a recreational rider. I’ll train, sure, and I’ll ride bikes a lot but I’m a sprinter. I’m not a long distance kind of girl. Stellenbosch is the informal meeting place for all the pro riders doing this race. Absa has about 50 world-class teams that are to be watched and include pro racers from around the world. Out of 600 teams, 300 of them are highly competitive. I’m way out of my league. But who cares? I’ll be riding bikes in South Africa amongst mountains, trees, hills, grasses, and villages like I’ve never seen before. I’ll be following a group of amazing mountain bikers each day snapping pictures, taking video, and enjoying some leisurely rides along the way. I’m getting excited. The next few days will require a ton of packing, planning, re-packing, and learning how to use the camcorder. So far, this is the only decent footage I’ve taken. But, it says it all. We’re going to the 2012 Absa Cape Epic! Follow our adventures at www.roamlife.com.